Now here's one lucky dog. 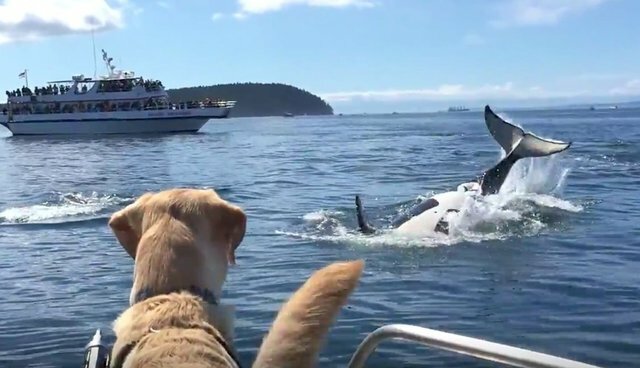 A sweet yellow lab named Sailor had a very memorable close encounter with some of the ocean's most iconic animals - and his reaction was just about what you might expect. 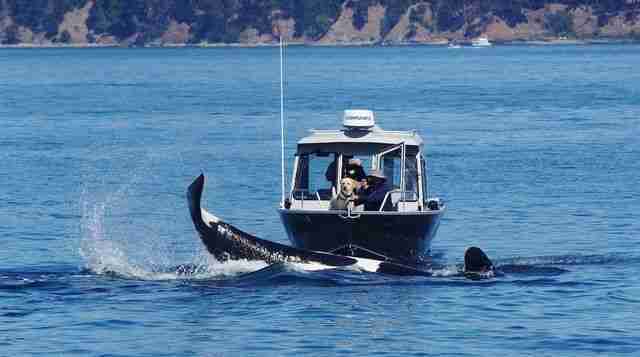 While boating off the coast of Washington's San Juan Islands this week with his humans, the dog was fortunate enough to be visited by a large pod of Southern Resident killer whales who, from the looks of it, were just as thrilled to see him. "He didn't even bark throughout this whole encounter, and Sailor barks at just about everything," the dog's owner, Kate Butler, told Pete Thomas Outdoors. "He was so excited that when we got off the boat he peed for 10 minutes." The uniqueness of Sailor's special moment wasn't lost on folks witnessing the scene from afar on another boat. 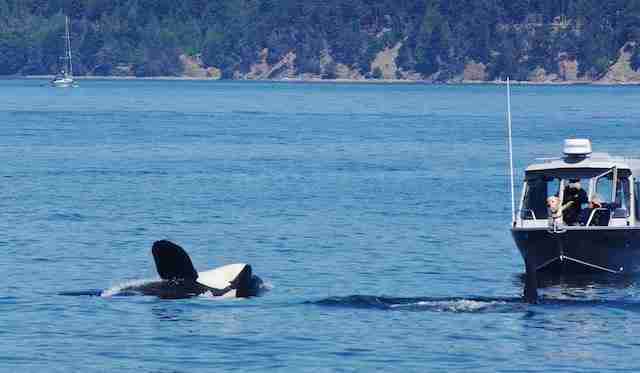 Among them was James Gresham, who photographed the dog watching in awe as the massive orcas seemed to splash their tails in greetings to the furry creature in front of them. "That was a great encounter," Gresham told The Dodo. "Most of the Southern Residents were there in a superpod and they were in an especially social mood that day." Thanks to the wonderful footage and photos, Sailor's unforgettable experience is unlikely to be forgotten by any of us anytime soon.